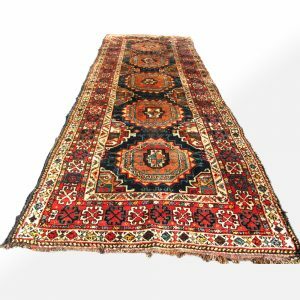 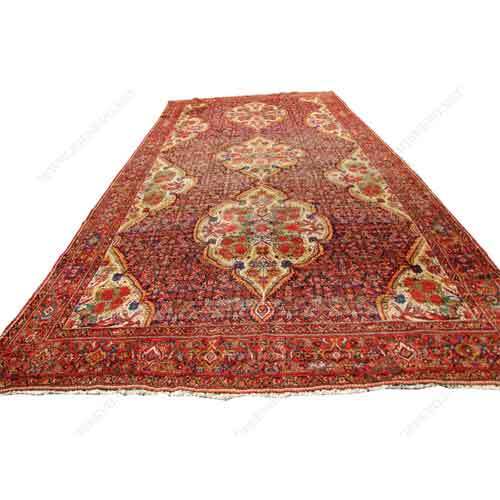 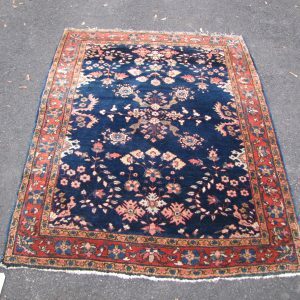 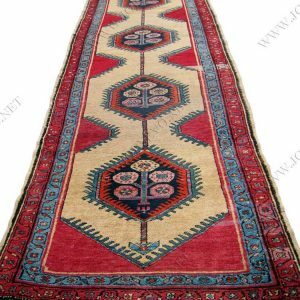 This is an Antique Room Size Persian Kelin Rug from the 1940’s. 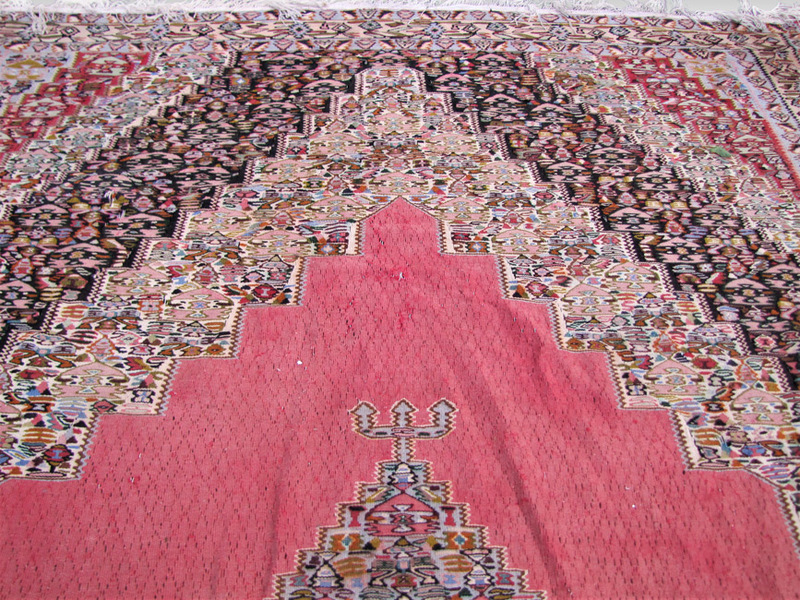 This is a flat weave rug that is in very good condition. 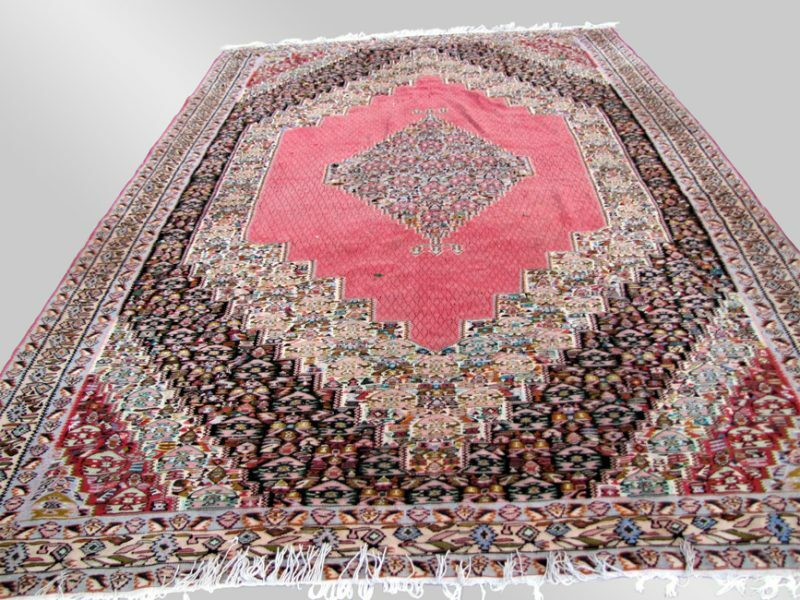 This rug is complete with no wear and nothing missing from the rug. 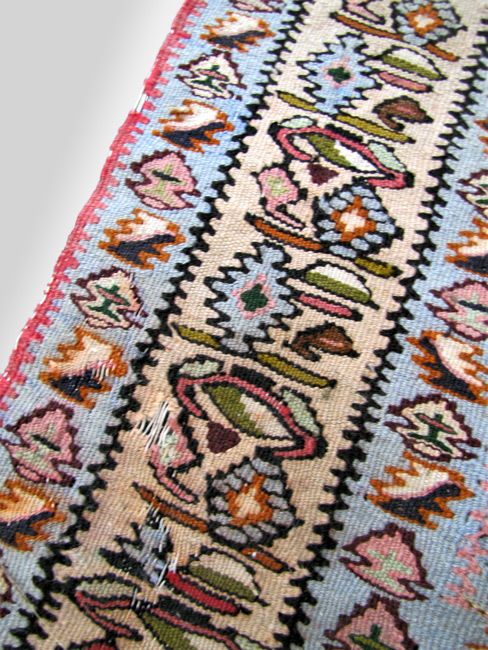 This rug has a great design that would look great in your home! 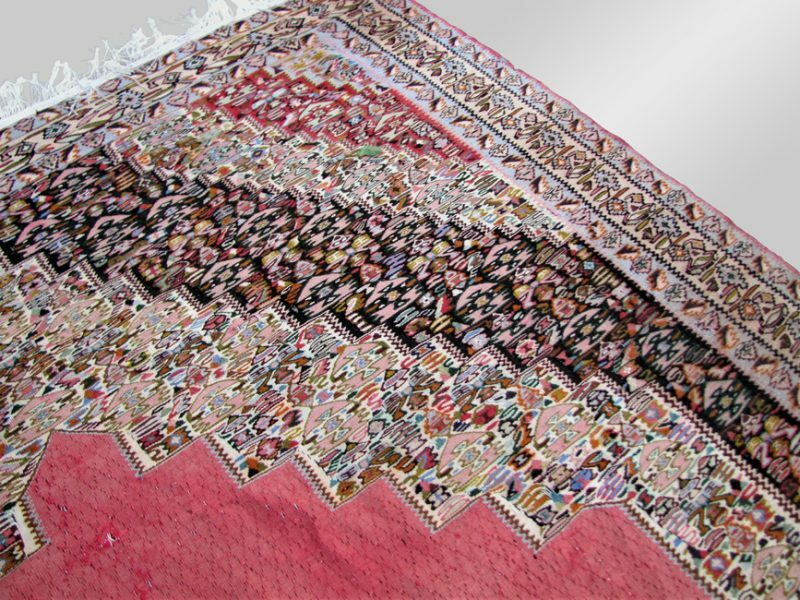 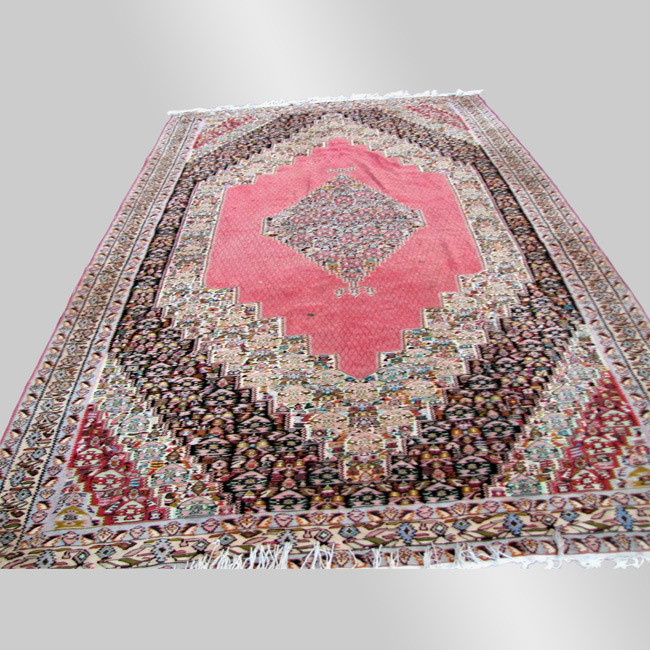 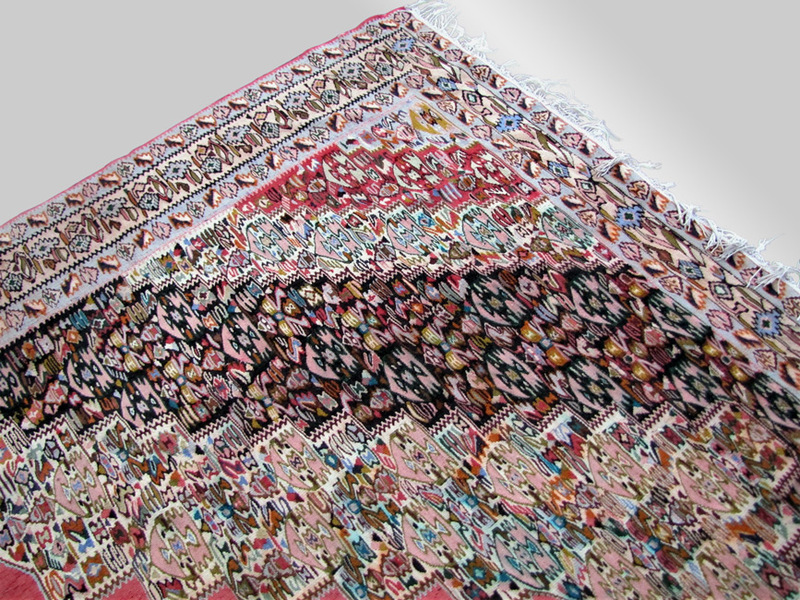 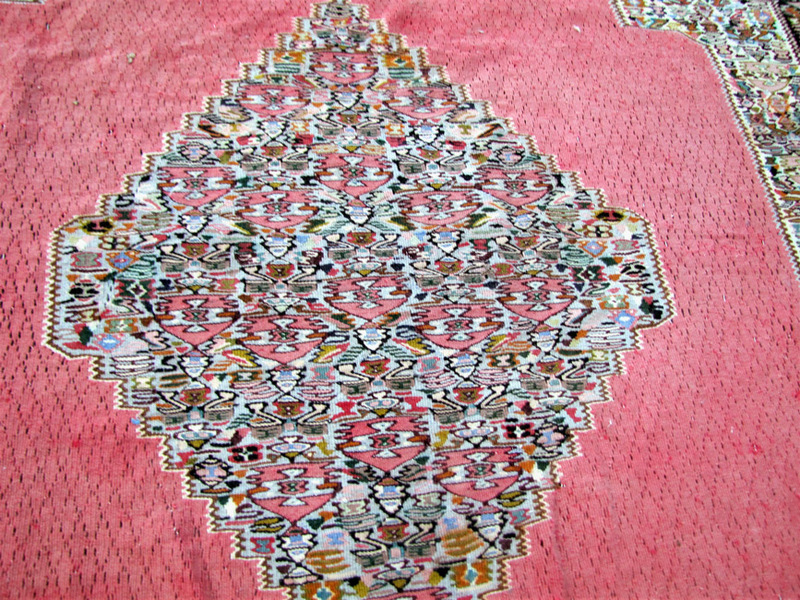 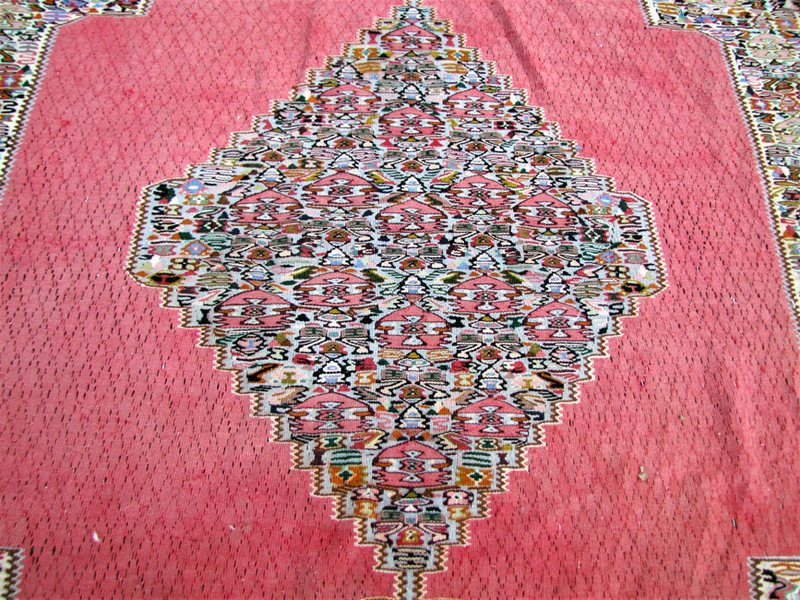 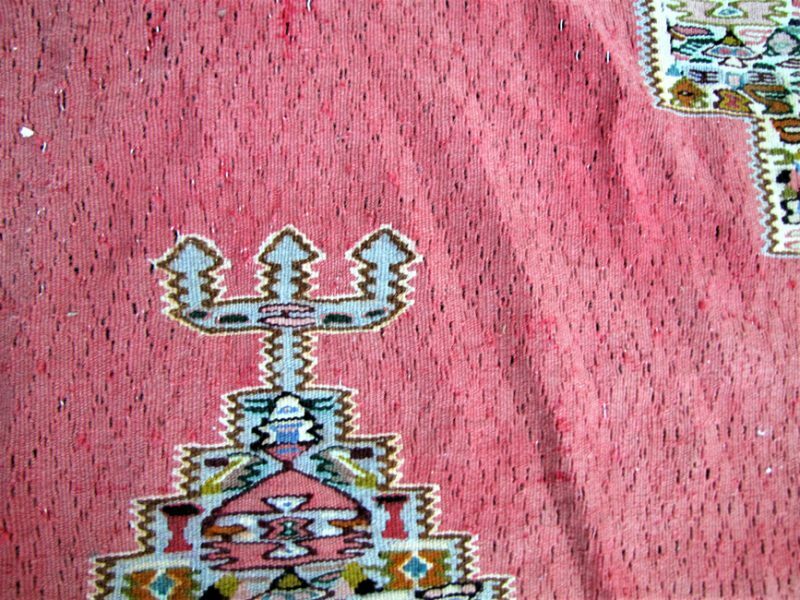 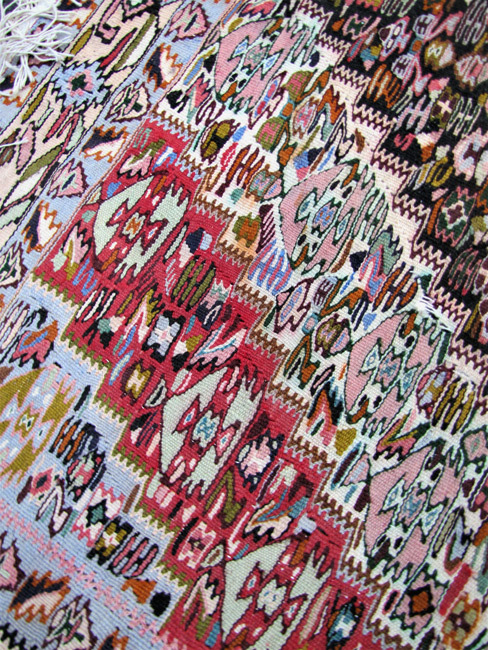 The background of the rug is rust with the other colors being creme, mustard, green, pink, red, olive, and light blue. 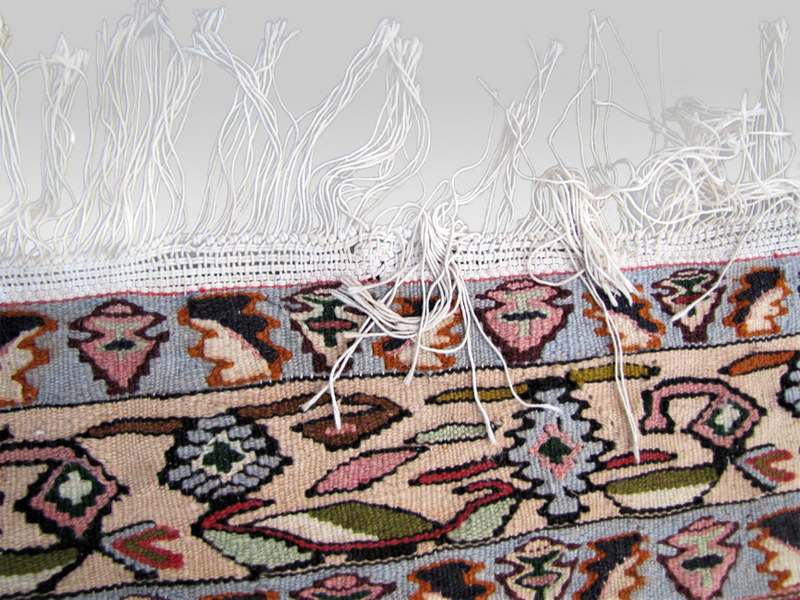 ***Add 3.5 inches to each end for the fringe.